Selling Commercial Real Estate doesn’t have to be an involved and complicated process, with unexpected fees and high commissions eating into the final price. For Sale For Lease allows you to sell Commercial property quickly and efficiently, with prominent exposure helping you to get the very best price possible. At For Sale For Lease we are proud of our reputation for transparency and honesty. Our fees are laid out from the very start, with no hidden costs, charges or commission. All-in-all our staff have more than three decades of real estate industry experience between them, allowing us to give you expert advice. We have no qualms about the quality of our service, and are happy to guarantee money-back for all of our clients. Should your commercial property remain unsold, just get in touch with us and we will find you a local real estate agent. After negotiating a great commission rate and fee for you, we will leave you in their capable hands. When your property is sold we will refund the up-front payment you made to us. What Do You Get With For Sale For Lease Packages? By working with us you gain access to Australia’s most popular and effective real estate sites including commercialrealestate, realcommercial.com.au and more. To start off with you can choose between our two basic packages. If you expect a short sale, then the Up Front package may be most suitable, costing $295 for set-up and $99 per month of listing. The Until Sold option offers a more definite spend, costing $795 for a listing that will stay up until your commercial property is sold. You can also take advantage of a number of additional optional services that we provide. These marketing and tools include signs for added publicity and exposure, professional brochures and photographs, and more prominent listings on selected real estate sites. THE BENEFITS OF SELLING COMMERCIAL PROPERTY WITH US. Our services combine the ease and control of selling commercial property online with the experience and access that comes of working with a real estate agency. With us, you get all the benefits of advice from experienced professional and access to Australia’s leading industry websites without the downsides. We believe that you are the best person to explain the features and benefits of your property, so you maintain control over how your property is described and marketed in viewings and open houses. Your account with us allows you to add additional photos and detail to your listing or change the focus of your listing to reflect market trends – it’s up to you. Our fee structure is simple, open and clear. We don’t operate on commission so we have no incentives to be anything but honest in all of our dealings with you, and our money-back guarantee offers you further security and protection. You might be asking, “What do I have to do to sell my commercial property with For Sale For Lease?” It’s a very simple and speedy process. 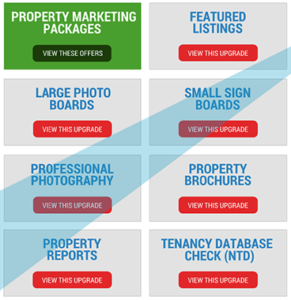 The ‘List Property Now’ button will take you to an easily-usable form. Add your contact details, followed by photographs and a description of your property. Then just return the General Sales Authority form we have provided. If your information is complete and accurate then within 24 hours your listing will be live, and available for prospective buyers to view. Get started selling commercial property today!